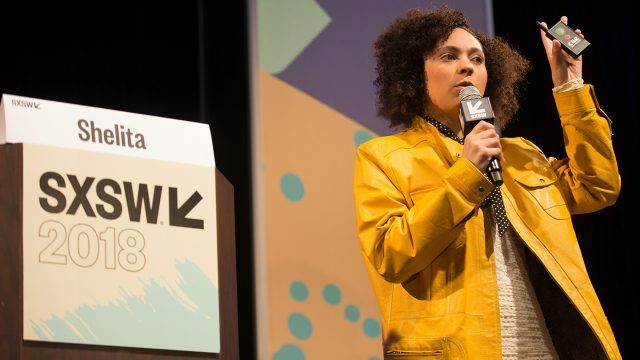 New for SXSW 2019, the Blockchain & Cryptocurrency Track will bring together technologists, investors, creators, and industry leaders to explore the ways in which blockchain technologies are being deployed and discuss the power of digital currency. Blockchain technology has already laid the groundwork for disruption in industries such as finance, healthcare, government, music, film, and more. Join us this March to join the conversation and learn what the future of blockchain adoption could look like. Dive into the blockchain ideas, investors, policies, and tokens that will impact global industries from March 14-16 at the SXSW Conference with primary access to Platinum and Interactive Badges and secondary access to all other badges. Blockchain, ICOs, and tokenization have opened up a new world for entrepreneurs and fledgling investors, completely disrupting the economic model and funding cycle for startups. For innovators trying to get around the barriers and bias in venture capital, crypto could be a game changer. Will blockchain be the death of VC? The founders and investors on this panel have raised a tokenized VC fund and run successful ICOs including 22X Fund and Narrative Network, deploying investment into nearly 30 companies and funding more women and minorities than traditional VC. We will discuss the growing landscape of options for startup funding, the role cryptocurrency has to play, and the rewards and dangers of a not-so-distant future where everybody has access to their slice of the pie. You’ve heard the hype. Blockchain technologists are building a utopian vision of a decentralized future where financial systems are open, transparent, and secure. Yet today, user experience in this space is notoriously subpar — and in many ways, alienating. Good design accelerates adoption. It’s time for designers to step in. Our interactive talk explores some ways for designers and design-minded folks to dive into some of the core UX challenges in blockchain and the distributed web. From human-readable wallet addresses to private key storage, what are some ways that design can help align the principles of an open, distributed web to practice? Let’s design the future, together. Although the Chinese government has a love-hate relationship with crypto – from shutting down exchanges and ICO projects, halting financial institution funding, to blocking all overseas websites related to trading and ICOs – it hasn’t stopped the success some of the world’s top exchanges. The crypto world is global, as 70% of the exchanges with the highest trading volume come from China. In this candid discussion, Edith Yeung of 500 Startups and Jason Lau of OKCoin will discuss how exchanges in China are keeping up their trade volume, continuing to grow its global users and overcoming government regulatory challenges. How are these exchanges secure and building trust with customers? What is next for the world of crypto? Purchase your SXSW Badge and reserve your hotel today to experience these sessions along with 10 days of screenings, showcases, exhibitions, networking, and more this March 8-17 in Austin, TX.